The main lodge at Ballard’s Black Island serves as a gathering place for great food and fellowship. Our main dining area serves American Plan meals exclusively to Ballard’s guests. This assures you of a quality dining experience with personal service. Pending your group size, tables can be arranged to accommodate two to twenty-three people for breakfast, lunches, and dinners. Adjacent to the dining area is a sitting room with a view that overlooks the harbor and stretches out into the lake. This is the place where you’ll indulge in adventurous fishing stories with friends and new found anglers alike. Also featured is free wi-fi service and satellite tv, if you have the need to stay “connected”. 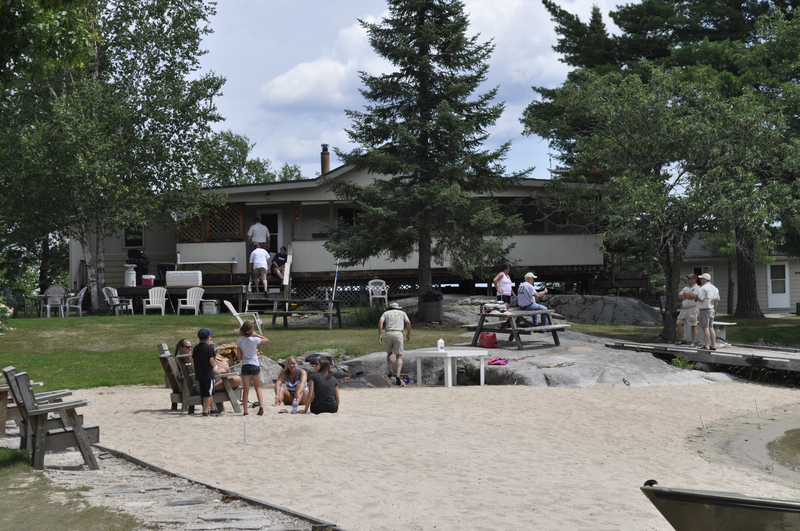 Come early… Stay late… Trade fishing secrets… Share stories… Bask in the camaraderie of a true Canadian fishing camp.